"Imagine if our daily habits could change our world? Guess What? They Can. THE NEW JONESES show the easy, everyday choices we can all make for happier people and a healthier planet. 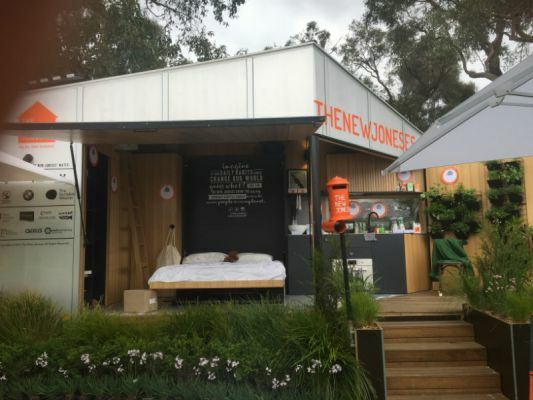 See THE NEW JONESES' Tiny House, TESLA Model X, Powerwall solar battery storage, home automation system, learn how to declutter, cut-out the waste, chose a better energy company and much more. Supported by Momentum Energy, TESLA, Flex PowerPlay, Sustainability Victoria, The Sociable Weaver, Earth Choice, Organic Care, BACK TO EARTH and Trumpet PR."